South Central has a lot of excitement and pride in announcing it's newest Branch. Welcome the Middle Tennessee Branch of Nashville, Tennessee, chartered May 19, 2018 where Eltra Butler was the organizer and is the First President. NAUW on the move and continuing to go to greater heights. Congratulations to the outstanding women making a difference in a community that is in need of their assistance. NAUW is a national non-profit organization that provides scholarships at the branch level for high school students, at the sectional level for graduate study, and at the national level for doctoral study, a fellowship is awarded. The organization provides opportunities to mentor youth and offers a variety of programs whereby you can contribute your skills. College Alumnae Club, now known as the National Association of University of Women, was organized in 1910 in Washington, D.C. 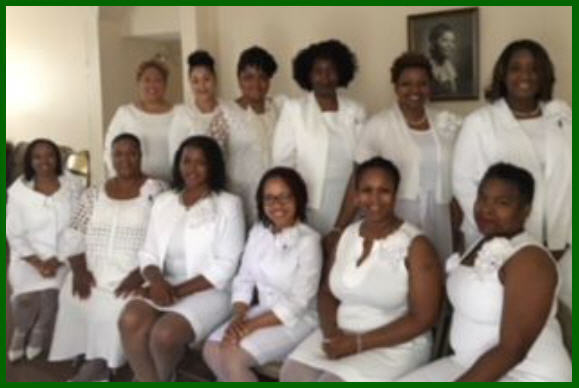 The new club desired to stimulate young women to attain professional excellence, to exert influence in various movements for the civic good, and to promote a close personal and intellectual fellowship among professional women.